Dogs need to have their teeth looked after just as us humans do and will need regular cleaning to help prevent tartar and plaque build up which can can lead to gum disease, which often means expensive dental visits to the vet. If you clean your dogs teeth regularly this will help prevent the need for intensive scaling at the vets. You can buy toothbrushes and toothpaste, specifically for dogs,these come in a full sized toothbrush ,or fingertip brushes. Sometimes the fingertip ones can be made of rubber ) or similar). Please do not use human tooth paste. The are dog tooth pastes available some may be flavoured to hep dog accept such as liver flavour... and some are enzyme based toothpaste such as CET Veterinary toothpaste that has duel enzymes. If you dog hates the brush you can also buy gels such as Logic Oral Hygiene Gel, this gel is rubbed onto teeth using your fingertips and is abrasive in texture. Other products people can use are 'Plaque off' ( there are other makes too ) a powder that is sprinkled onto food this is said to prevent further build up and helps to soften existing plaque for easier removal. Dental Liquids : you can get these to add into your dogs drinking water. If you can though try and give you dog a raw (not cooked) meaty bone to chew a couple of times a week like a lamb rib. Many RAW feed dogs have lovely teeth as they gnaw meat off the bones, this causes the tartar to be scraped off the teeth naturally.Your dog will enjoy it and it is far cheaper. Some butchers may give them away free! Please ensure when feeding bones that dogs are supervised. Ziva shows off her lovely teeth......say "cheese"
Sometimes you may find a build- up of sleep in your dog's eyes. Just wipe away with a moistened cotton wall pad, cooled tea is great to use, just dip cotton pad in, one for each eye and wipe. If really hard and crusty you can just use your fingers to pick it off. Make sure that the dog can see clearly out of his eyes and not too much hair. Hair can be trimmed using facial scissors. These are rounded ended scissors designed to use safely on the dogs face area. Always use responsibly and hold hair away from eyes and gently snip. If your dog gets irritated eyes especially if they suffer from hay fever you can wash the eye with a solution of cooled tea solution which helps. Do use a separate pad for each eye. Camomile tea and Green tea are particularly good, but any tea will be fine. If you notice a green or yellow discharge or redness around the eye or you are unable to open eye then it is more than likely to be an eye infection like conjunctivitis. The vet will normally prescribe you some eye cream or drops and it will usually clear up quickly. It is important to trim your Cockapoo's claws regularly to ensure that they do not get too long. If you use a groomer they normally provides this service, or they offer claw triming as something you can book on it's own, vets may also provide this service. Nail trimmers can be bought from most good pet shops or online grooming companies. You must only cut a small section of the end of each claw and not cut past the quick. On paler dogs the quick can be seen in the claw itself as a darker area running down the centre. You must not cut into or past the quick as this will be painful for your dog and the claw will bleed. On darker dogs you cannot see the quick which is why it is essential to cut small sections of at a time. Remember to check your dog's dew claws as well, these are situated on the inner surface of the claw and attached by a section of loose skin. Paw licking is a common thing amongst our cockapoos and can be quite upsetting to see them gnawing and licking at their paws constantly. Obviously your dog will clean it's paws but paw licking can also be an issue, due to other factors. Sometimes it can be down to boredom, and can become habit forming or it could be down to when dog is feeling stressed. When you see them paw licking which is more than just a general clean, try giving them something to chew instead to distract them and help to break the cycle. Often to find route cause it is a process of elimination, and can be very much trial and error to see what works. A good thing to try at first is to wash feet after walks, you could use a medicated shampoo or even diluted Hibiscrub, ensure feet are dried thoroughly after. Also try a wheat free diet and wheat free treats, and/or eliminate stuff that is high in sugar as this can cause yeast issues which again can cause itchy feet. It may not cure it but may lessen the amount of paw licking. As cockapoos have hairy paws it can be a perfect breeding ground for yeast as yeast loves warm moist conditions. To help combat this ensure feet are wiped dry after wet walks, keeping paw feet trimmed or short may also help. Thornit powder is another thing you can try, that can bring relief to paws and also get rid of any mites. Put some into a freezer bag and dip each paw in massage in and the shake off excess remove from bag and repeat with each foot. Cockapoos have pendulous ears that often require regular cleaning and ear plucking if they are really hairy. Regular ear cleaning helps prevents the build-up of wax and debris and helps keep Otitis at bay. Cockapoos can also be prone to yeast infections as their ear shape provides a perfect breeding ground for yeast . The most common type is caused by Malassezia. However we also advise some caution, as we feel over cleaning can also be an issue. Check your dogs ears regularly, if clean, they probably do not need cleaning, but just keep a regular check as part of your grooming regime to ensure they stay clean. Ear Mites: These will cause similar reactions as above and in the ear they look like coffee grains. Check the links below. If the ears are really hairy and your Cockapoo goes to a groomer, then they normally will check them and pluck the ears for you if required. Not all will need this. If you do them yourself we recommend buying a grooming powder for the ears which helps your fingers grab the hairs more easily and makes plucking quicker and less painful. Using latex gloves also helps. The removal of excess hair allows air to circulate and helps to prevent ear infections, dependant on each dog. Some ear cleaners that are popular with our owners. This is a recommendation based on own usage and does not replace a vets diagnosis. Put the ear cleaner into the ear and then massage the base. You should hear a swishing sound. Wipe away any excess with a cotton wool pad. Thornit Powder is a good product to use if your dog has ear mites as it removes the ear canker. I have also found it helpful to soothe an irritated inflamed ear too and can also be used on paws. www.thornitearpowder.com. 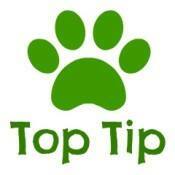 A tip for applying use a small make-up brush for applying the powder around the ears, nice and gentle for the dogs. Just dip into pot, tap away excess and swirl around the ear flap. It might tickle though !